A great choice for modern and period bathrooms, the New Victoria range will make a real statement. 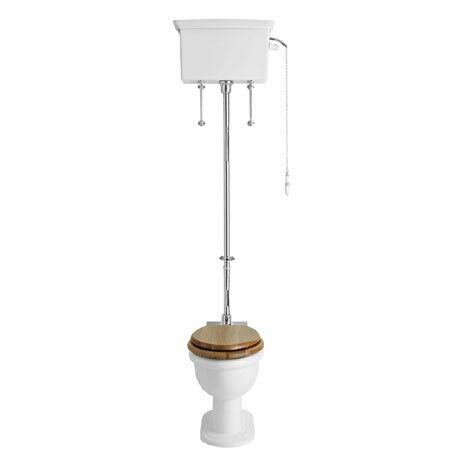 This High-level WC and Chrome Flush Pack is constructed from high grade vitreous china and chrome plated brass ensuring a quality finish and long lasting durability. Includes decorative ornate brackets, pull chain and chrome high level flush pipe kit. For peace of mind Heritage offer a lifetime guarantee on all their sanitary ware.